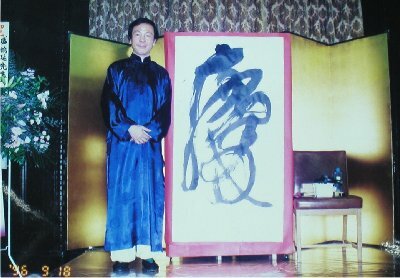 Master Sei is a flame keeper of unique “God Calligraphy Kong (Chi Kong Calligraphy). 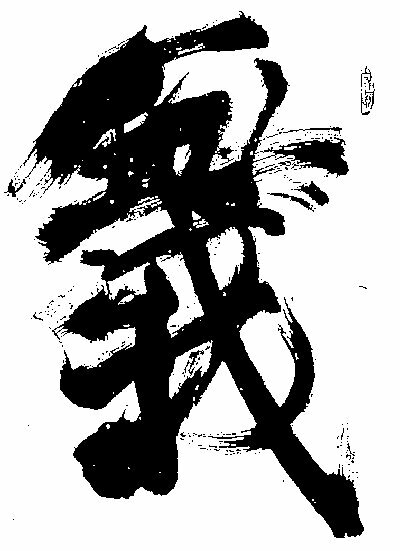 This method of calligraphy is not only a Chi Kong method but also is an art. 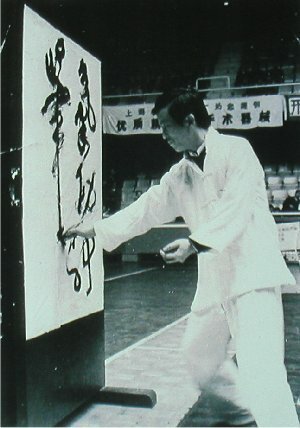 You can see the picture of Master Sei performed “God Calligraphy Kong” at the Chi Kong festival held in Shanghai (sponsored by Shanghai Television and Shanghai Chi Kong Science Academy). At the reception of “Chi Kong Revolution” publication party on September 18, 1996. “Anatman”. Click to enlarge image.